Today we will again take a high-level look into the world of benchmarking: CPU and GPU benchmarks, benchmarking tools and much more. 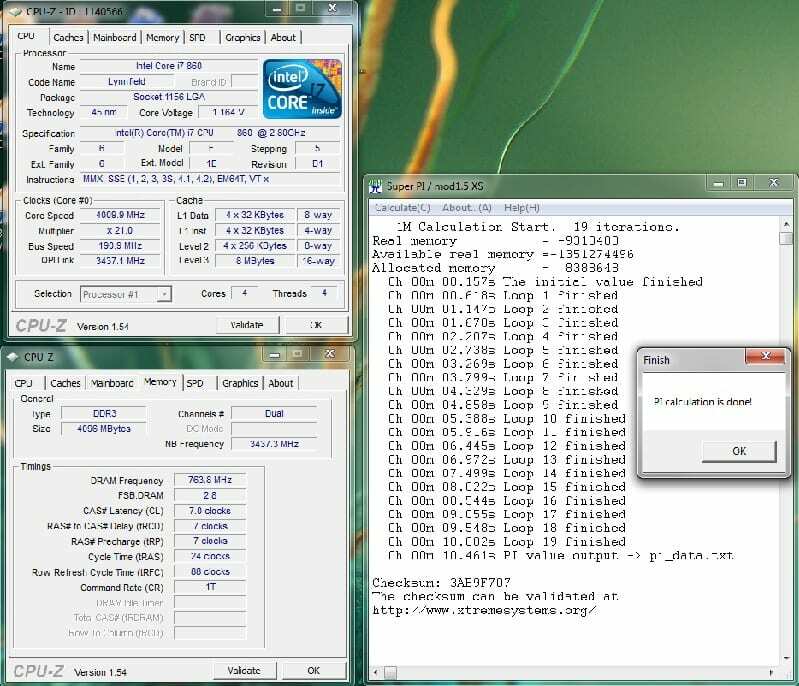 Specifically, we will be looking at thirteen point-scoring benchmarks listed at HWBOT.org as well as the more common utilities used for overclocking and submitting scores to their system. We also touch on system information and monitoring applications. For those that have not heard of HWBOT, it is the premier online repository for submitting PC benchmarks and as a hardware specification resource. 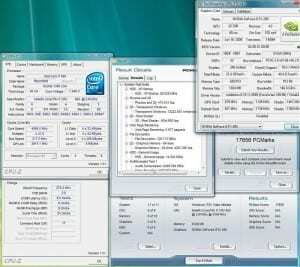 HWBOT is the “only non-stop overclocking competition platform known as the HWBoints rankings. 30,000 overclockers from all over the world compete in more than ten of the most popular benchmarks in thousands of hardware categories, resulting in over 550,000 benchmark results, a figure that is increasing by over 500 every day. The benchmark results generate points awarded to both the member’s profile, the team’s profile and the country of origin and based on those points members are ranking in the Overclockers League, Hardware Masters League, Teams League and many more sub-rankings.“. Now you have a brief background on the most popular host for competitive benchmarking and where the world’s 13th ranked team (of over 1000! ), the Overclockers.com Benchmark Team, hang their hats. Lets take a look at the benchmarks and utilities you will use to run them! Due to the recent additions in the benchmarks used at HWBOT.org as well as updates in the utilities used, we have again updated this article. Below is a list of the major applications used and a brief description. Their functions are anything from overclocking CPU’s and GPU’s to system status/monitoring applications needed to confirm and enter scores at HWBOT, to temperature monitoring tools and programs. Of course, you don’t need ALL of these, but can choose which you like the best to use for your tweaking needs. Please be sure to verify compatible programs with your specific hardware. 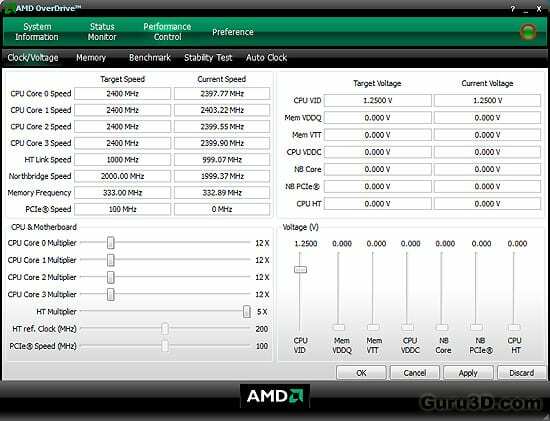 This utility shows information about your AMD or Intel CPU, Mainboard, Memory, and System. It will be used in all of the benchmarks listed so it’s a must-have when submitting any scores. 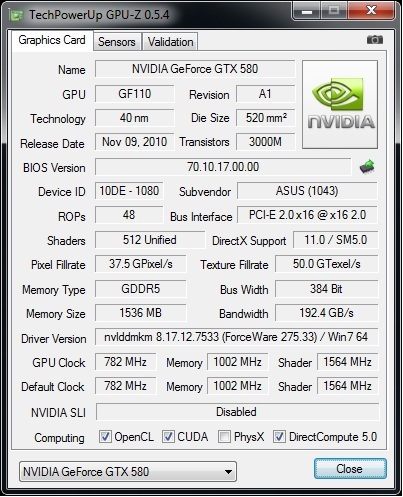 GPU-z is a program that shows information about your ATI or Nvidia GPU including but not limited to shader count, memory, core speed (both stock and overclocked), as well as temperature and voltage monitoring of the GPU. It will be used in 3D based screenshots and is also a must-have for submitting those scores. 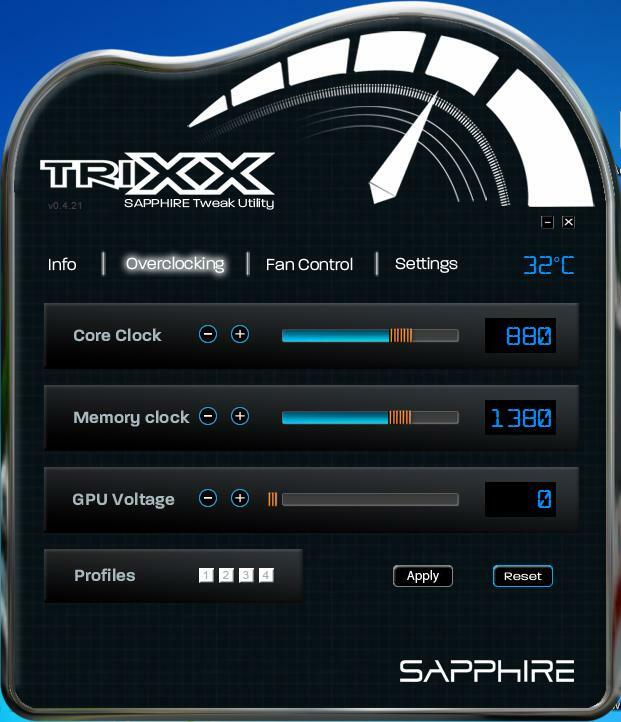 RivaTuner is tweak utility designed to overclock Nvidia and ATI video cards. 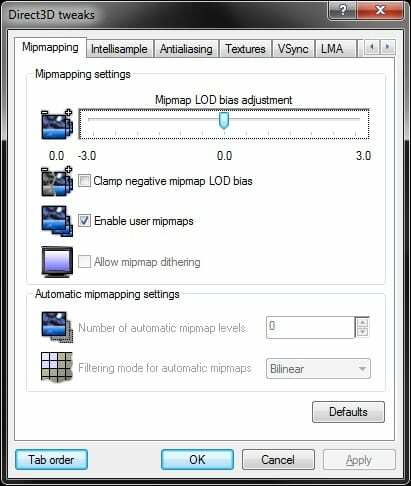 With this tool, one is able to set Core/Shader(Nvidia)/Memory speeds, adjust fan settings, enable/disable AA/AF, raise/lower detail settings, and many other features. CCC is for overclocking AMD video cards and is usually downloaded from the AMD driver package. 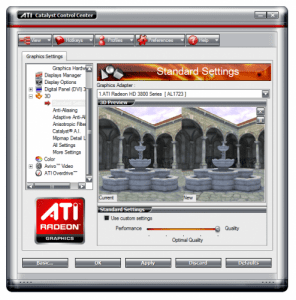 Like RivaTuner, this video card tweaking utility you are able to set Core/Memory speeds, fan settings, enable/disable AA/AF, raise and lower detail settings along with many other features. 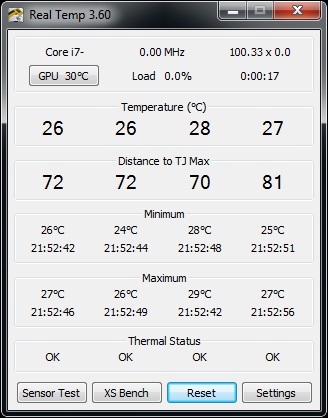 This is another application used for overclocking your video card. 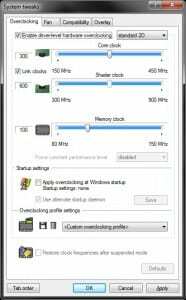 Like the other applications, it will allow you adjust the Core/Shader(Nvidia)/Memory clocks and Fan speed as well as adjusting the voltage. 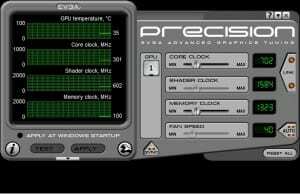 Precision is a small footprint, little frills video card overclocking program for Nvidia cards. It will allow you to adjust the Core/Shader/Memory clocks and Fan speed. It has a nice graphing function on it to see temperature, core/shader/memory speed, GPU use as well. 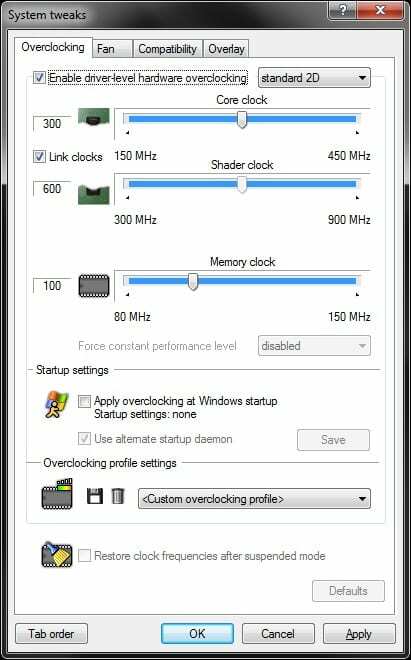 You are also able to save overclocking profiles. 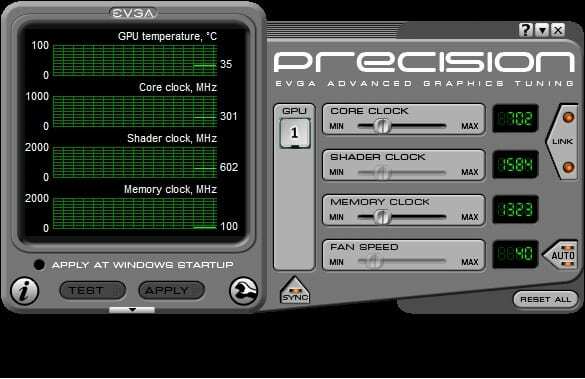 You do not have to have an EVGA-based card to use Precision. 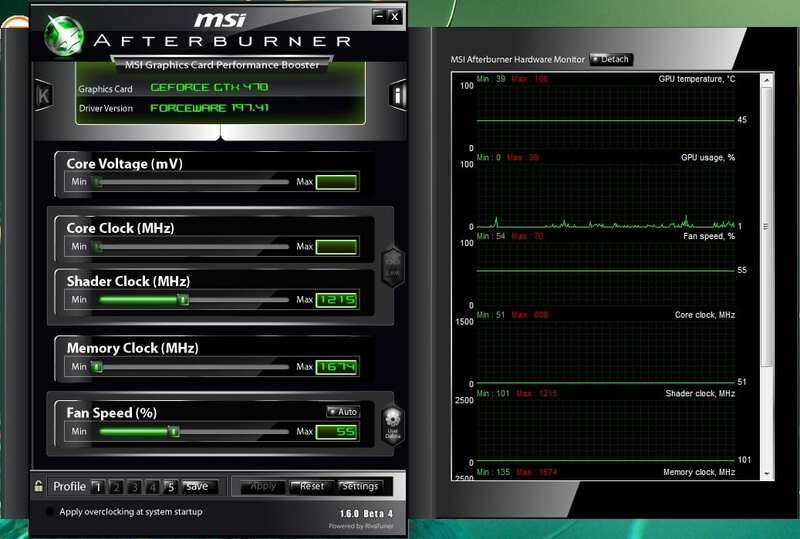 MSI afterburner is a nice utility for both Nvida and ATI video cards. 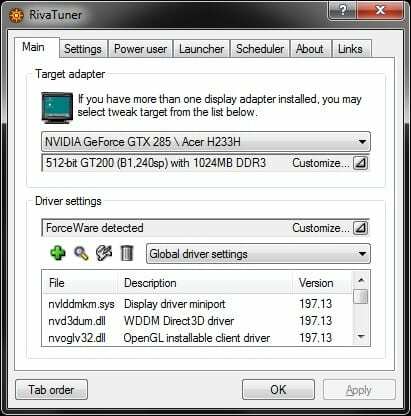 Like the other video card tweak programs, Afterburner allows one to adjust the core/shader/memory clocks and fan speeds, monitors clock speed/temperatures (min/max), fan speeds and frame rates. You can also save five profiles. 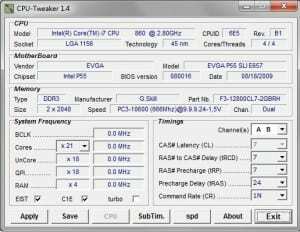 SetFSB is a CPU overclocking utility that is used to raise the Front Side Bus (FSB) of Intel S775 (and more) chips. 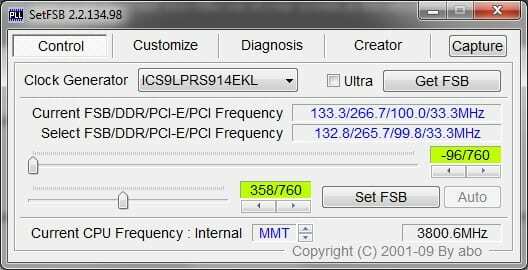 It is primarily used to get those last 100+Mhz out of your system as this adjusting is completed from within windows. You will have to locate the clock generator for your specific motherboard to properly use this Tool. 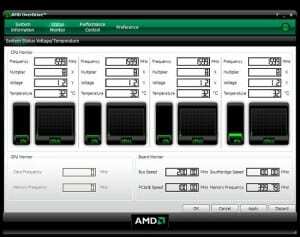 AMD:O is for overclocking AMD CPU’s. This utility allows for HTref adjustments (FSB/Bclk for you Intel folk! ), voltage adjustments, built-in stability testing, as well as monitoring volts and temps. 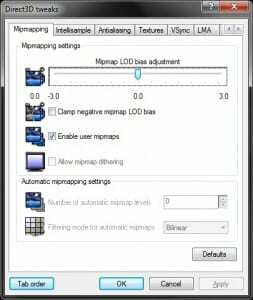 MemSet is a windows based memory tweaking utility that will work for Intel DDR2/DDR3 without an integrated memory controller (IMC). It shows the various common memory timings (and others) and allows for on-the-fly adjustments for your memory timings. 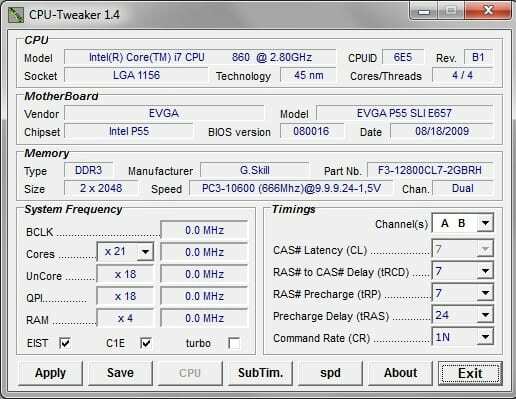 CPU-Tweaker is a memory tweaking utility for the Intel i3/i5/i7/i9 series. Like Memset, it shows the various common memory timings and a lot of others, as well as allowing you to adjust them on the fly. The application does not look any different. RealTemp is simply a temperature monitoring program for Intel chips. 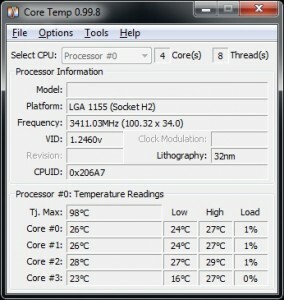 Core Temp, designed by an Overclockers.com member, is for AMD and Intel chips. You wouldn’t want to have these running while benchmarking, but they are needed when trying to find your highest clock speed on CPU and GPU. 1. It is usually recommended to begin your overclocking adventure from the BIOS. The most common reason is for stability. 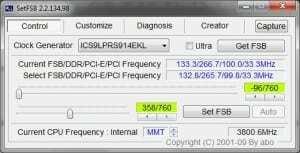 You would generally want to use an application like SetFSB or motherboard specific programs like EasyTune6 to get the very last out of your overclock. Here are some local overclocking guides to get you started: C2D/C2Q, i3/i5/i7, AMD. 2. YOU DO NOT NEED TO USE ALL OF THESE APPLICATIONS. Do not be intimidated! Try them out and see which application you prefer to use! 2D Benchmarks are programs that do not test the video card but test the CPU and subsystems. 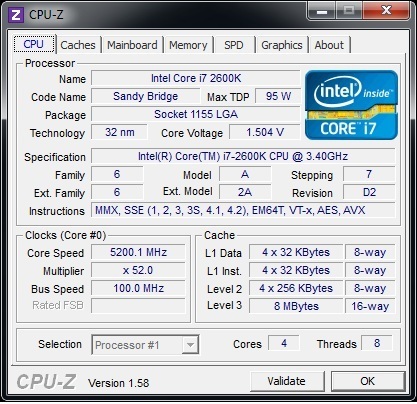 This benchmark program is simply used to capture a validation and screenshot of the clock speeds. In order for this score to be submitted to the ‘bot, you must validate the score and submit the link you received from your validation to HWBOT. Any online CPU-Z submission must comply to the following rules: use most recent CPU-Z version, have a valid canardpc validation link as verification, screenshots are no longer allowed since 19th May 2008. 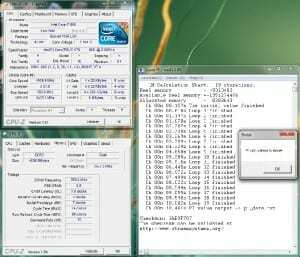 You can save your overclock and submit later if your bench rig is not connected to the internet. use the same nickname in the CPU-Z submission as your HWBOT name. 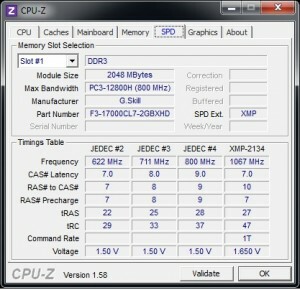 Example CPU-Z verification link: http://valid.canardpc.com/show_oc.php?id=218928. Tips/Tricks – The goal here is reach and validate the highest speed your CPU can go. There is no such thing as stable here. So long as you get the validation link saved and can submit it to the bot properly, thats all that matters. SuperPi is a program that calculates a specific number of digits of Pi. In this case we use 1 million and 32 million digits. 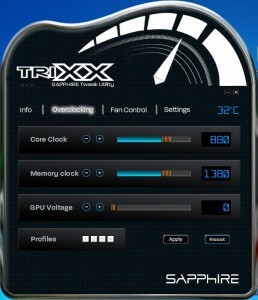 It is commonly used by overclockers to test the stability and speed of an overclocked system. 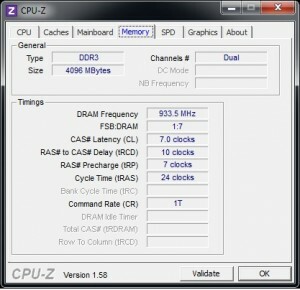 You must use the XtremeSystems version 1.5, having accuracy in milliseconds and checksum validation choose 1M/32M calculation, and have a valid screenshot (see example below): clearly show SuperPi time and “calculation done” popup, processor in CPUz, memory settings in another CPUz instance, and checksum. 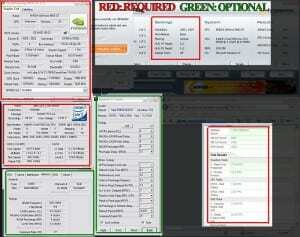 Tips/Tricks – This application (like most benchmarks) is best run with nothing else going on in your system. This includes eliminating any unneeded active services as well as active processes. 32M times are influenced by memory timings and FSB/uncore/HyperTransport speed more so than 1M. XP is the OS of choice for this bench. 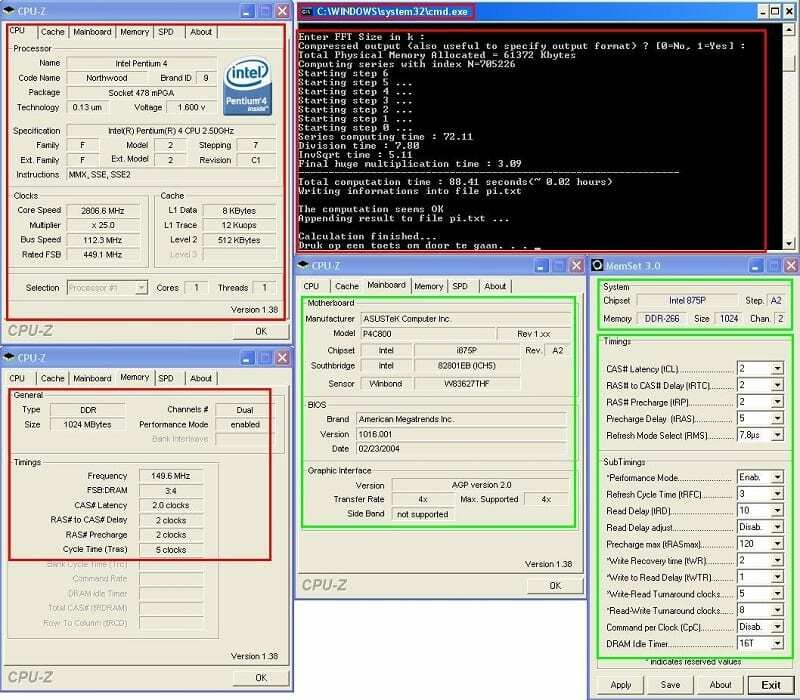 WPrime is a multi-threaded benchmark application that can quickly test your processor performance. It does so by calculating square roots with a recursive call of Newton’s method for estimating functions. In contrast with most other simple benchmark applications, wPrime is written to take full benefit of processors with multiple cores. 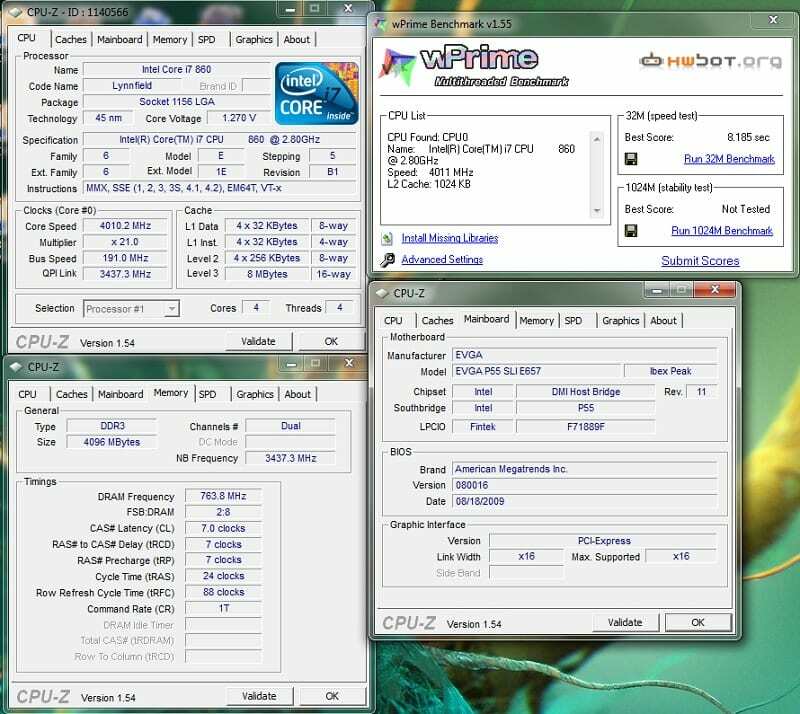 In order to submit a valid score, you must use the wPrime 1.55 version, choose 32M/1024M calculation, and have a valid screenshot (see example below): clearly show wPrime time, processor in CPUz and memory settings in another CPUz instance. Tips/Tricks – This application of course likes nothing else running with it on your rig again eliminating any unneeded active services you can as well as active processes. Windows XP 32bit / Vista 32 bit are the better OSes to complete this benchmark. PiFast is used to compute pi with a very large number of digits. Any online PiFast submission must comply to the following rules: use Hexus PiFast version (4.1) and have a valid screenshot (see example below): clearly show time, DOS box, processor and memory tabs in CPUz. Tips/Tricks – Again like all other benches, trimming your uneeded services and active processes will help in getting the best score. 3D benchmarks are programs that are supposed to test the GPU. However many of them are becoming a pure CPU race these days because graphics cards have become so powerful. 3DMark 2001 is an old 3D benchmark application that measures videocard performance in DX7 and DX8. It has little to no relevance for current game performance. However it is a lot of professional benchers’ ‘favorite game’ to play. 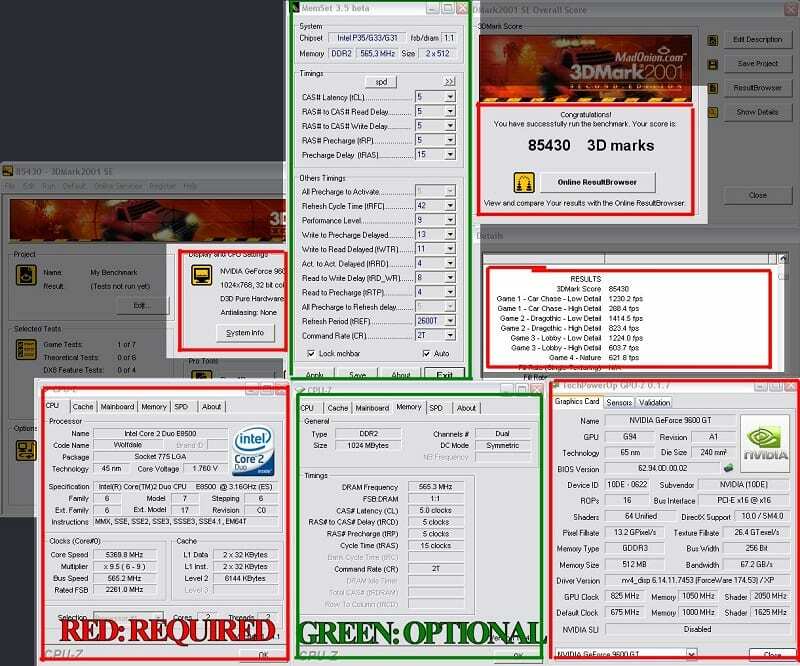 In order to submit a valid score, one must have a valid screenshot (see example below): clearly show 3Dmark score, 3Dmark subtest scores, 3Dmark settings, processor in CPUz, video card in GPU-z, unless you provide a futuremark orb link. GPU-z in screenshot, drop-down must be visible if you run in SLI so all video cards are identified. Rivatuner may be used if GPU-z fails to identify video card properly (as of 8 oct 2007). You must have a valid futuremark orb link as verification for scores in the top 20. 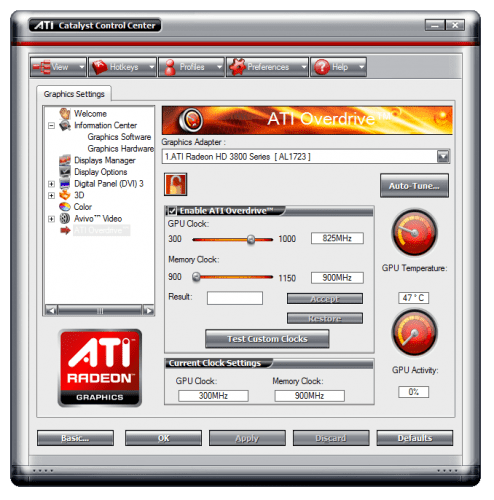 Tips/Tricks – This application, being so old and run on a low resolution, loves CPU speed along with a video card overclock. So, be sure to push that as far as you can for best results. As is typical with 3D benching, make sure your card’s settings are at performance and not high quality. AA and AF should be application controlled or off. You are also able to run the individual tests that make up the benchmark in any order and as many times as you want. This is beneficial as some tests are harder on the GPU than others so you can get away with higher overclocks for some of the tests yielding a better score. The best OS for this is XP. Driver choice will play a role in scores as well. 3Dmark 2003 is another older video card benchmarking application. It measure performance in DX8 and DX9. Any online 3DMark03 submission must comply to the following rules: use default 3Dmark settings, have a valid screenshot (see example below): clearly show 3Dmark score, 3Dmark subtest scores, 3Dmark settings, processor in CPUz, video card in GPU-z, unless if you provide a futuremark orb link. 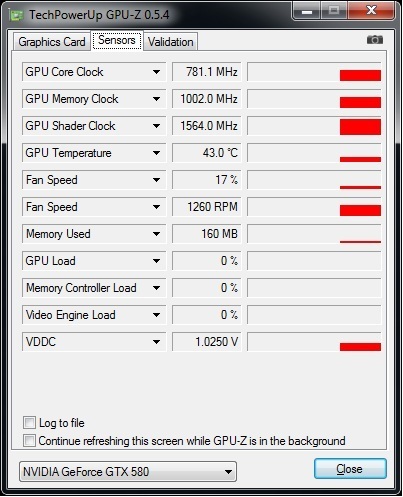 GPU-z in screenshot, drop-down must be visible if you run in SLI so all video cards are identified. 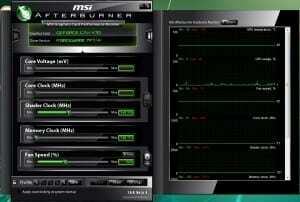 Rivatuner may be used if GPU-z fails to identify video card properly (as of 8 oct 2007). You will need to have a valid futuremark orb link as verification for scores in the top 20. 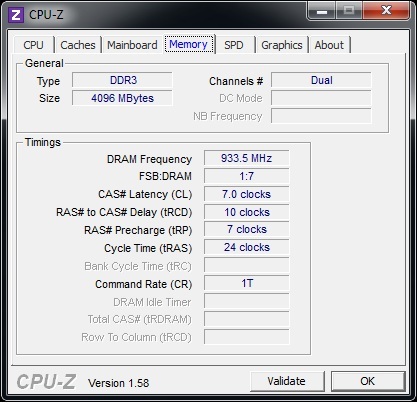 Tips/Tricks – Another 3D bench that really gets a boost from faster clock speeds. As is typical with 3D benching, make sure your card’s settings are at performance and not high quality. AA and AF should be application controlled or off. 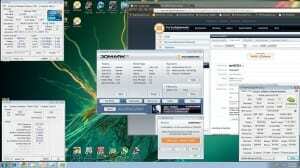 The best OS for 3DMark 2003 is Windows 7 32bit (vary by card brand). Driver choice will play a role in scores as well. 3DMark 2005 is a slightly older 3D benchmark that uses DX9. It is only a DX9 benchmark so older cards that do not support that API cannot be used in this bench. 3DMark05 also shows significant improvements with CPU clock speed as well as overclocking the video card. Any online 3DMark05 submission must comply to the following rules: use default 3Dmark settings, have a valid screenshot (see example below): clearly show 3Dmark score, 3Dmark subtest scores, 3Dmark settings, processor in CPUz, video card in GPU-z, unless if you provide a futuremark orb link. GPU-z in screenshot, drop-down must be visible if you run in SLI so all video cards are identified. Rivatuner may be used if GPU-z fails to identify video card properly (as of 8 oct 2007). You must have a valid futuremark orb link as verification for scores in the top 20. Tips/Tricks – Another 3D bench that really gets a boost from faster clock speeds. As is typical with 3D benching, make sure your card’s settings are at performance and not high quality. AA and AF should be application controlled or off. A good OS for 3DMark 2005 is Windows Vista 32 (vary by card brand). Driver choice and will play a role in scores as well. 3DMark 2006 is the 2nd newest version of Futuremark’s 3D benching applications. This version uses DX9 and Shader Model 2.0 as well as 3.0. 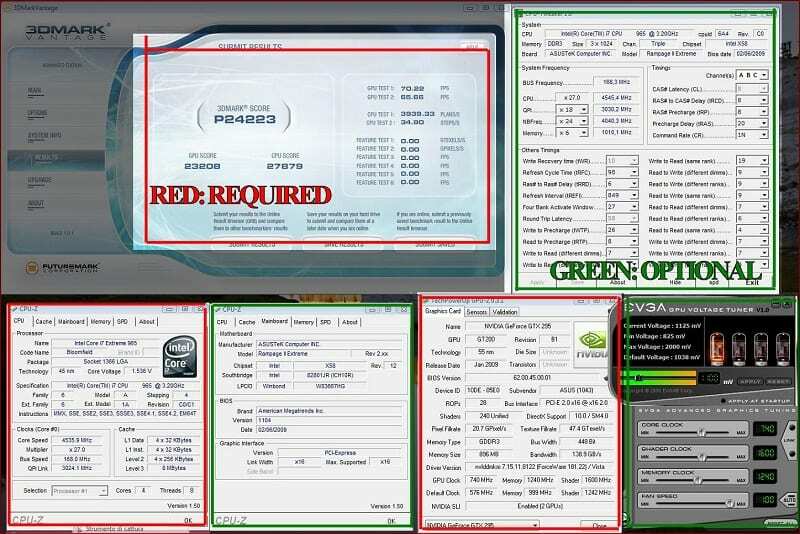 Any cards without DX9 and SM3 support will not work with this benchmark. It consists of two SM2.0 graphics tests, using DirectX 9 SM2.0 features extensively, two HDR/SM3.0 graphics tests, using DirectX 9 SM3.0 features and floating point extensively, and finally, two multiprocessor CPU tests focusing on CPU intensive tasks in 3D games. At the end of the benchmark it will give a score for each test and a total. Any online 3DMark06 submission must comply to the following rules: use default 3Dmark settings, have a valid screenshot (see example below): clearly show 3Dmark score, 3Dmark subtest scores, 3Dmark settings, processor in CPUz, video card in GPU-z, unless if you provide a futuremark orb link. GPU-z in screenshot, drop-down must be visible if you run in SLI so all video cards are identified. Rivatuner may be used if GPU-z fails to identify video card properly (as of 8 Oct 2007). You must have a valid futuremark orb link as verification for scores in the top 20. 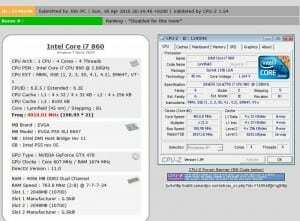 Tips/Tricks – Another 3D bench that really gets a boost from faster clock speeds AND the number of cores used. The more cores used, the higher your CPU score. As is typical with 3D benching, make sure your card’s settings are at performance and not high quality. AA and AF should be application controlled or off. A good OS for 3DMark 2006 is Windows Vista 32 (vary by card brand). Driver choice will play a role in scores as well. 3Dmark Vantage uses DX10 and Shader Model 3.0. Since it uses DX10, it will require a video card that supports it as well as an OS (Vista or Windows 7) that supports it as well. There are a couple settings on here and the standard at HWBOT is the Performance bench. If you run an Nvidia GPU you must disable PhysX for a valid score. 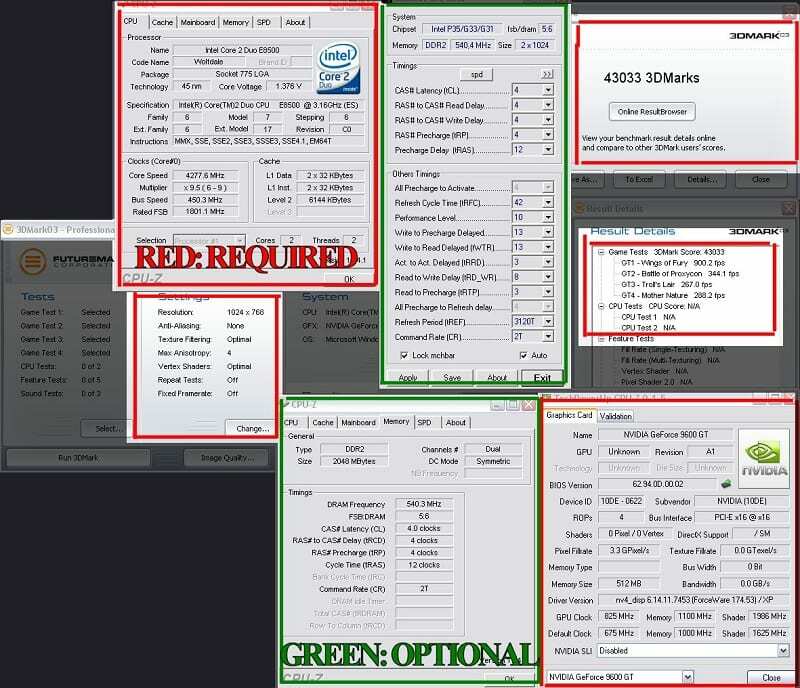 Any online 3DMark Vantage – Performance submission must comply to the following rules: use Performance settings, have a valid screenshot (or valid futuremark orb link): clearly show 3Dmark score, 3Dmark subtest scores, 3Dmark settings, processor in CPUz, video card in GPU-z, unless if you provide a futuremark orb link, GPU-z in screenshot, drop-down must be visible if you run in SLI so all video cards are identified. 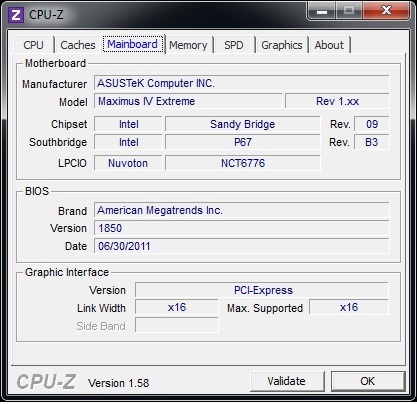 Rivatuner may be used if GPU-z fails to identify video card properly (as of 8 oct 2007). You must have a valid futuremark orb link as verification for scores in the top 20. 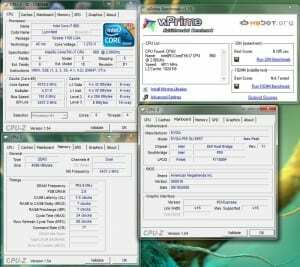 Tips/Tricks – While pouring on the clock speed and cores has its advantages here as well, its not as pronounced as the others especially when you get into the higher presets. As is typical with 3D benching, make sure your card’s settings are at performance and not high quality. AA and AF should be application controlled or off. 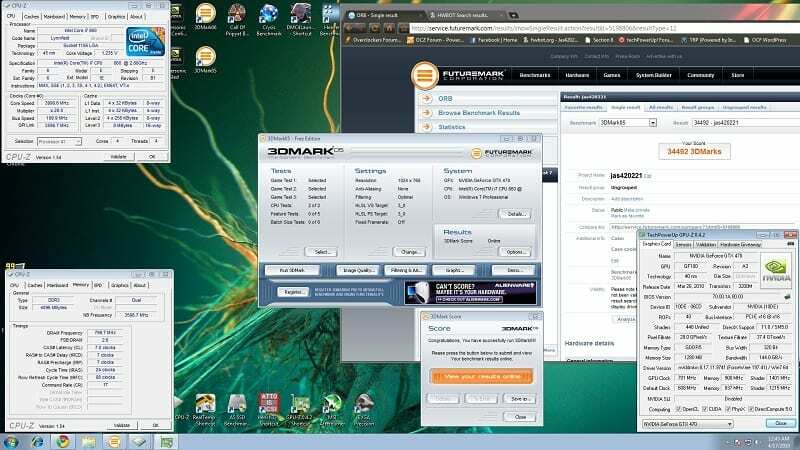 A good OS for 3DMark Vantage is Windows Vista 32 (vary by card brand). Driver choice will play a role in scores as well. 3DMark 11 is the latest version of the 3DMark video card testing applications from Futuremark. 3D11 is designed for testing DirectX 11 hardware running on Windows 7 and Windows Vista. This is one benchmark that will bring your GPU to its knees. Tips/Tricks – CPU and GPU clockspeed and plenty of cores rule this roost. Can only run under Windows 7 being DX11. 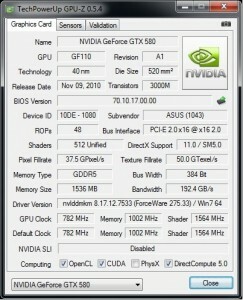 Any online HWBOT Unigine Heaven submission must comply to the following rules: Use latest stable build V1.0.3, Use standard benchmark settings, Verification file is mandatory for submitting results, have a valid screenshot: clearly show benchmark score, processor and memory information in CPU-Z, videocard in GPU-Z, gpu-z in screenshot, dropdown must be visible if you run in SLI so all videocards are identified. Rivatuner may be used if GPU-Z fails to identify videocard properly (as of 8 oct 2007). 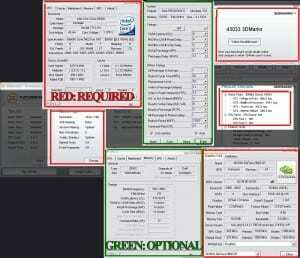 Tips/Tricks – Plenty of GPU clocks and high memory speeds help this bench out. 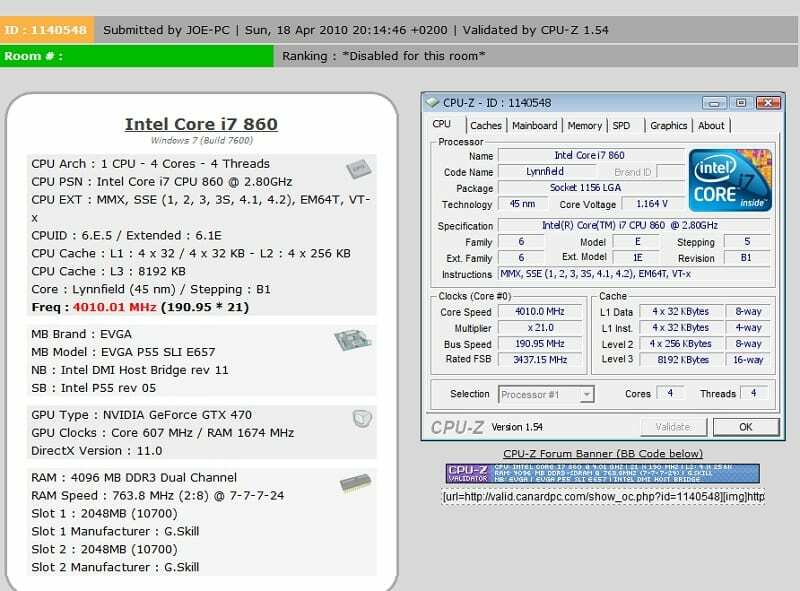 A combination bench such as PCMark 2005 and PCMark Vantage have an assortment of tests from the CPU and subsystem to video card performance. 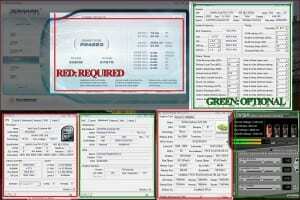 PCMark 2005 is a dated, but still relevant release of a complete system benchmark. This tests CPU, GPU, Memory, Web page rendering, and Hard Drives. Having all these items tweaked are going to yield the best results. Any online PCMark05 submission must comply to the following rules: use default PCMark settings, have a valid screenshot (see example below): clearly show PCmark score, PCmark settings, processor in CPUz, GPU-z, Subtest Scores (XP startup speed! ), unless you have a valid futuremark ORB url. You must have a valid futuremark orb link as verification for scores in the top 20. XP Startup cannot exceed 220MB/s. Tips/Tricks – Since this is a complete system benchmark and all relevant items (CPU/GPU/Memory) need to be overclocked and tweaked where applicable in order to achieve the highest score. Obviously drives in RAID 0 will score higher than a single drive of the same make/model as well as SSD’s generally scoring higher than most 2/3 drive RAID 0 setups. The faster the memory runs and tighter the timings, the better score you will get also. This is a HIGHLY tweakable benchmark. Now that you have seen all the benchmarks, and have all the tools you need to be successful at it, it’s time to get down and chilly and get overclocking! Also note that there are a lot more tricks the benchmarking team have up their sleeves with years of combined experience that will help boost those scores up! Join the fray by heading into the forums to the Overclockers.com Benchmarking Team’s sign up thread and completing 10 of the 12 benchmarks above . Major props for being thorough. nVidia inspector would be a good addition. EDIT: (and Sidenote: ) Time to bench for the first time in a while for me! I figured if it is already in the buffet I may as well specify. It's not like it is hard to tell what OS the top 5 users of any benchmark used by looking at the screenshots on HWBot, or what driver they used. It's not like I'm mentioning special settings to be used, etc. The point of the article is really high level 'tweaks'. Thats why there are no LOD typw applications in there. I personally deem Inspector as a more advanced tool do to the things that we, in the lounge, can do with it. As far as telling OS's, while those things do help, its not a make or break to share information that is readily available at HWBOT. at the end of the tips/tricks of the 2005/2006/vantage benchmark sections each have the typo. Updated and added that OS willl vary by brand. Thanks for the information!